“Spotlight on Lifelong Learning” is a weekly look at some of the exciting public conversations upcoming around Memphis. 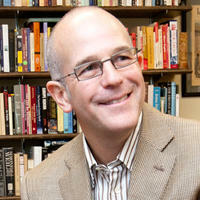 Host Jonathan Judaken is the Spence L. Wilson Chair in the Humanities at Rhodes College. Several shouts this week. You are not too late catch Newberry Award-winning children’s author and regular contributor to NPR’s morning edition, Kwame Alexander, who comes to the Ben Hooks Library tonight at 6 pm for a very special evening featuring a poetry reading, a performance with Randy Preston, and other activities for kids, teens, and adults. So hurry on over to the Ben Hooks library if this is of interest. On Thursday at 7 p.m., I conclude a series at Temple Israel’s Crosstown space directed at young professionals called, “Let’s Talk about Anti-Semitism.” I’ll be discussing the entanglement of Jewishness and whiteness, considering how this has changed over time, what it indicates about Jewish power and privilege, as well as addressing how some forms of identity politics have consequently marginalized Jews in anti-racist coalitions. And on Monday the 29th at 5:30, the Lest We Forget series continues at Hatiloo Theater. It’s a monthly commemoration of the 400 years of Africans on American soil. Next Monday they will have a lay-in, shoulder to shoulder, to recreate the feeling of being on a slave ship. It should be a powerful experience. For more information about these events, visit our website. For more ideas about public programs upcoming in Memphis, visit WKNOSpotlight.com where you will find a list of lectures and book talks happening around town. Spotlight on Lifelong Learning is a partnership between Rhodes College and WKNO-FM.